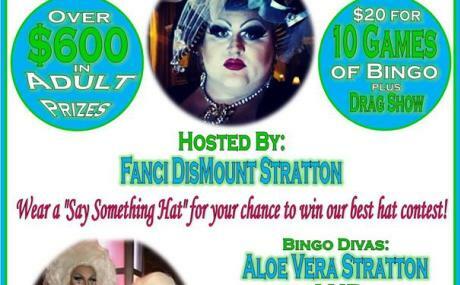 Drag Bingo: Say Something Hat Day! 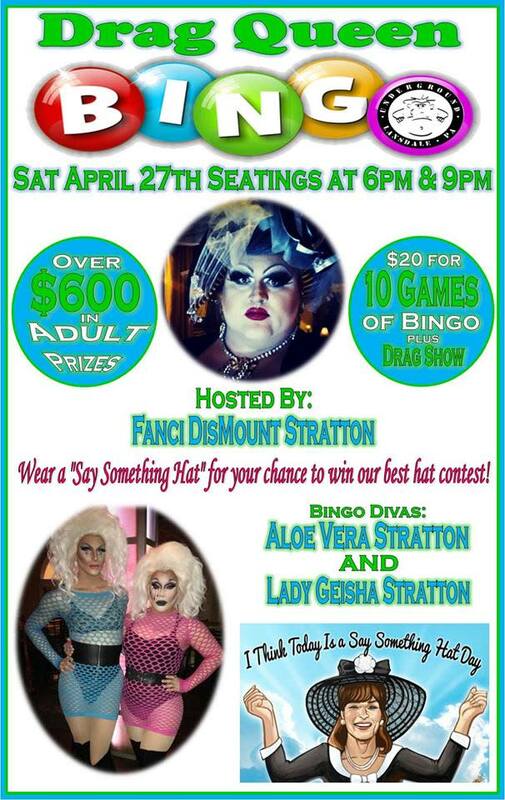 Join Fanci and her girls for another fabulous Drag Bingo with 10 rounds of bingo and over $600 in adult toys up for grabs!!! Gear up for the Kentucky Derby and wear your best hat for your chance to win our Hat contest!